Before 1701: he starts his career at an early age as a disciple of Matsumoto Hyôzô, who gives him the name of Matsumoto Tomonojô. 11th lunar month of 1701: he becomes wakashugata and takes the name of Matsumoto Tomojûrô I in Kyôto at Miyako Mandayû's theater. 11th lunar month of 1706: Tomojûrô becomes tachiyaku and performs in Kyôto at Miyako Mandayû's theater in the kaomise drama "Hachimanzai". 11th lunar month of 1713: Tomojûrô achieves a great success by playing the role of Tsukioka Satoemon in the kaomise drama "Ôminato Kogane no Izumi", which is produced in Ôsaka by Yamamoto Hikogorô. 11th lunar month of 1715: Tomojûrô becomes katakiyaku and plays the role of Furuichi Toraemon in the kaomise drama "Seiwa Genji Kaichû Fude", which is produced in Ôsaka by Arashi Sanjûrô I. 11th lunar month of 1719: Tomojûrô plays the role of Hiyoshi Taizô in the kaomise drama "Chiyo no Ume Naniwa Kagami", which is produced in Kyôto by Sakakiyama Shirojûrô. 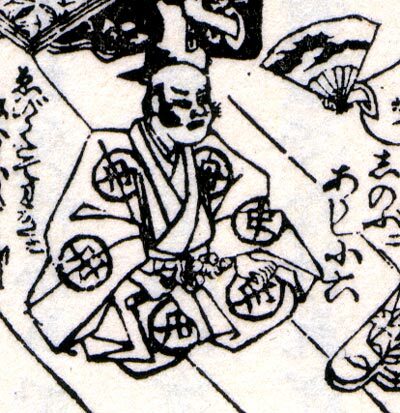 1st lunar month of 1722: Tomojûrô's rank in the Kyôto hyôbanki, katakiyaku section, is jô-jô-(shiro)kichi (superior - superior - (white) excellent). 11th lunar month of 1733: Tomojûrô plays at Kameya Kumenojô's theater (Kyôto) the role of Ebira Tatewaki in the kaomise drama "Chôseiden Kogane no Shikigawara", which is produced by Sakakiyama Shirotarô I. 1st lunar month of 1739: Tomojûrô plays the roles of Yamana Sôzen and Sôhachi in the drama "Keisei Arashiyama", which is produced by Nakamura Tomijûrô I at Kameya Kumenojô's theater. 11th lunar month of 1744: Tomojûrô plays in Kyôto at Miyako Mandayû's theater the role of Tôma Mokunojô in the kaomise drama "Hakata Ori Imose no Karanishiki"; his stage partners are Fujioka Daikichi, Tamiya Shirogorô, Sawamura Chôshirô, Sadoshima Chôgorô I, Mihogi Gizaemon I, Nakamura Danzô, Tatsuoka Hisagiku, Sanogawa Hanazuma II, Sakakiyama Danshirô I, Takenaka Heikichi, Ikushima Kashiwagi I, Nakamura Matsubê I, Nakamura Kiyosaburô I and Fujioka Gengorô. 2nd lunar month of 1745: this is most likely the last stage performance of Tomojûrô, who plays in the same theater the role of Katahei in the new year drama "Keisei Sakura Gassen". Matsumoto Tomojûrô I was a popular Kyôto actor, who achieved fame for himself during the first half of the 18th century in Kamigata as a katakiyaku. He was endowed with a powerful voice and excelled as a villain in jidaimono dramas.